Ho Chi Minh City (HCMC or Saigon), Vietnam is a big city. It is bigger than Hong Kong, and only slightly smaller than New York. And much like other big cities throughout the world, different parts have their own unique character. In New York you'd call them Boroughs but in Ho Chi Minh City they are Districts. Because of research and happenstance, we lived in District 8 for six weeks. The verdict? It's the best district to stay in HCMC! It isn't the loud and boisterous District 1 (downtown and backpacker's district), nor is it the favorite district for expats looking for a nice place to rent (probably District 3 or District 7). 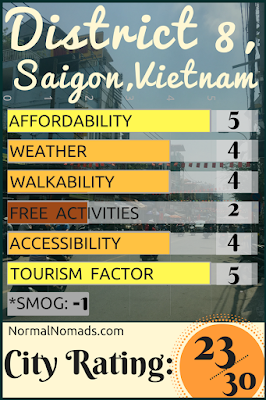 We do think that District 8 is the best place to stay in Saigon. Instead it is a district well known primarily by the people who live there and most famous for being "home." 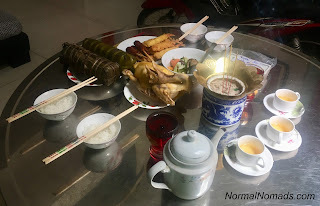 But if you are interested in eating Vietnamese food (i.e. tasty) with Vietnamese people (i.e. great) for Vietnamese prices (i.e. cheap) in Vietnamese neighborhoods (i.e. cozy), then maybe you should consider giving District 8 a look. You didn't come all the way to Vietnam to drink Heineken and eat pizza with a bunch of Europeans, right?! The format of this review is going to be a little different than usual. 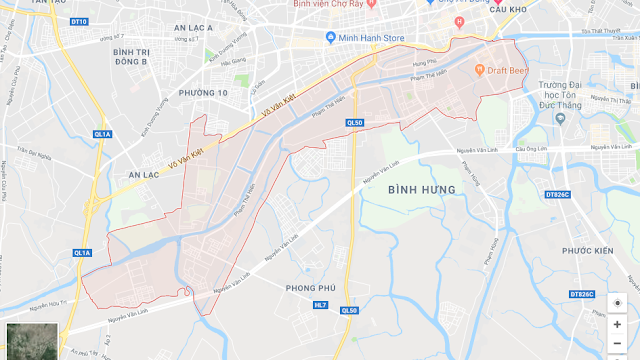 We will be taking a moment at the beginning of each topic to discuss how District 8 compares with other districts before we get into Ho Chi Minh City in general and how it compares to other places we've been. As you may have gathered by reading our other posts, we are not on vacation. We are on life (and yes, all of you who have read our other city reviews, we will always make that joke), so we didn't do all the touristy stuff. If you really want to go there and spend loads of money (that one too! ), then we won't help you much here. If you are unsure about what the categories are referring to and you'd like a bit more clarification, then click here to see an in depth explanation of what we are on about. In fact, go ahead and check out the explanation even if you are pretty sure you've got a handle on it. It is here (and here [and here!]). Righto! Let's get down to it! 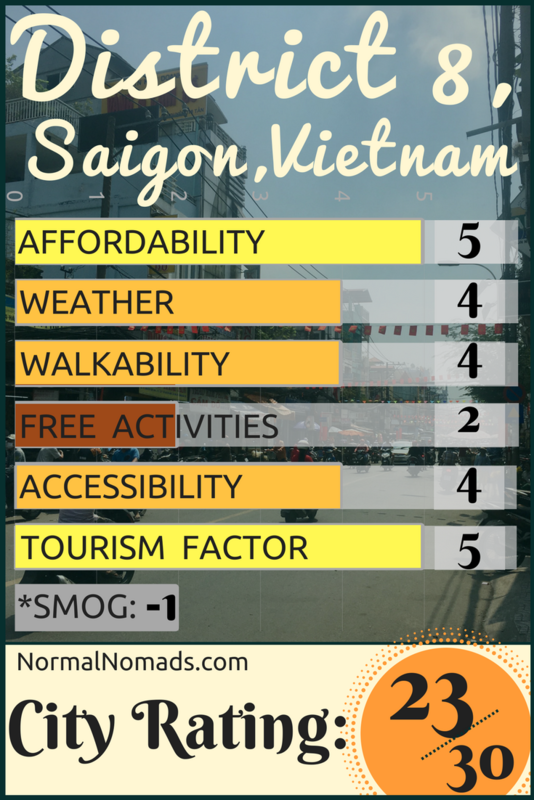 How'd District 8, Ho Chi Minh City do?!?!?! Oh, and just in case you are wondering to yourself, "Self, I wonder where District 8 actually is and how far it is from District 1," then allow us to inform you. This is a map of the whole district. You ever notice Google Maps has a tendency to remember places you've been before and list them more prominently next time you look at a map? Can you see the only place in District 8 that shows up when I type "District 8" into Maps? Yeah, it says, "Draft Beer!" But hey, it is only 6,000 VND per beer!!! 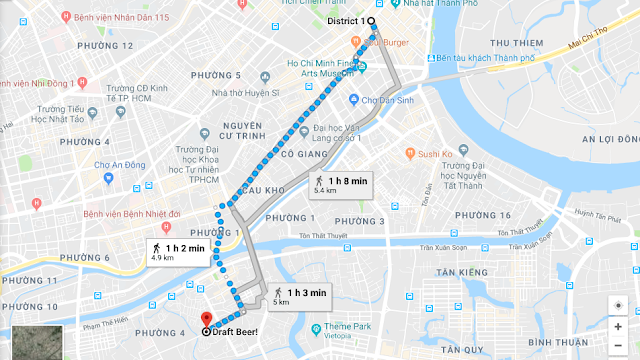 And this is the walking directions from Draft Beer! to Soul Burger (Warren's favorite burger place in Ho Chi Minh City), which is near the center of District 1. It says it'll take around an hour to walk it. We did it faster, but no big deal. Regardless of how cheap or expensive a place is, if you are willing to spend more money than what things cost, someone somewhere will take your money. We've talked about this before (such as here), and call this "Starbucks-ing" (i.e. taking $5 for a $1 cup of coffee). District 1 is full of tourists who have absolutely no idea how much something should cost, and thus also has a lot of people willing to take what these tourists think is a good price for a product that actually costs a quarter of that one kilometer away. District 8, on the other hand, is full of locals who tend to charge the same for a service whoever you are. This means that it's the best district to live in Ho Chi Minh City if you don't like getting ripped off. In either district you would probably be surprised with how cheap things are. So cheap! We joined a gym, drank tequila, ate out for nearly every meal, drank too much coffee, and pretty much did whatever the heck we wanted for six weeks and still managed to keep it under $50/day while there. We've read online about people who do manage to spend hundreds (or thousands) of dollars a day there, but trust us that they are eating at the finest French restaurants, have a personal chauffeur, visit spas, and go swimming in their personal infinity pool at their deluxe resort hotel every single day in order to achieve it. We, on the other hand, LOVE Vietnamese food, walking, normal showers, and private rooms in homestays. So, yeah, it was pretty cheap. Conclusion- Cheap as chips, as long as you aren't just throwing it away. So, listen. We know we said we'd compare District 8 to District 1 at the beginning of each section... and we really want to be consistent... sooooooo.... it is pretty much same-same? We sort of feel like we are cheating on this section, since we actively avoid places when their weather is the worst. 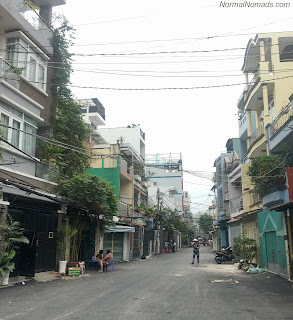 We visited Ho Chi Minh City for January and February, and we only had it rain a half dozen times while we were there. The only thing we didn't think was perfect about the weather was the occasional day of high heat and zero clouds. During these days, we'd write off doing much of anything outside and instead stay inside and get some work done (like on this blog!) where the fans were plentiful and air conditioning existed. Conclusion- Ho Chi Minh City has great weather sometimes. We just only visit then. 3. If there is still room on the sidewalk, it's an acceptable place to walk. When you are walking on a sidewalk the last thing you expect to hear is a horn honking at you. 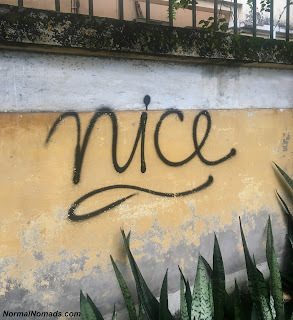 But that is exactly what you should get used to hearing in Ho Chi Minh City, cause otherwise you are going to have a lot of angry Vietnamese people on scooters behind you. There is something that makes this sidewalk/road confusion bearable though; people really try not to kill each other. And that includes pedestrians! With very rare occasion, vehicles in the city tend to top out at about 40 kph, and unless you are out very late at night when the drunkos are joyriding, the drivers are very good about slowing down when needed and stopping on a dime when they have to (except buses, still watch out for buses... you'll know they're coming though cause they more or less are constantly blowing their horn). This means if you find yourself having to walk on the street because the sidewalks are full up of parked scooters, a pretty common occurrence, you can be pretty sure no one will hit you or even really come too close. 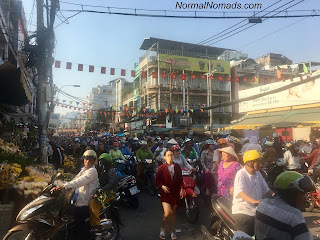 Even with all the craziness we found Ho Chi Minh City pretty darn walkable and were able to walk throughout much of the town with relative ease. One thing to point out, there are traffic lights in District 1 while there weren't (well, not really) in District 8. The traffic lights downtown even come with handy walk/don't walk signs for pedestrians... but don't automatically believe them!!! Crossing the road is its own thing in Ho Chi Minh City, different than anywhere we've been before. It isn't hard, but it is worth having an idea what you are in for before you arrive and we'll be writing a post in the near future about it. Conclusion- Isn't it nice when people don't use "right of way" as an excuse for recklessness? Ho Chi Minh has a lot to do. Museums, tours, food, coffee (lots of coffee), and beer are all available and super cheap. But, this section is called "Free Stuff" and not "Cheap Stuff," isn't it? There are parks throughout the city to sit and watch the birds and squirrels, and in the evening most of these parks become filled with middle aged fitness buffs getting a sweat going, which is great! We do want to point out if you are staying downtown and want to spend a lot less money, just leave District 1. In our experience, all prices drop to a half or a third (or a quarter) of what they are there just by leaving where the majority of tourists stay. Like, seriously, walk for twenty minutes and save half off your banh mi. Conclusion- Cheap cheap cheap, not free free free. 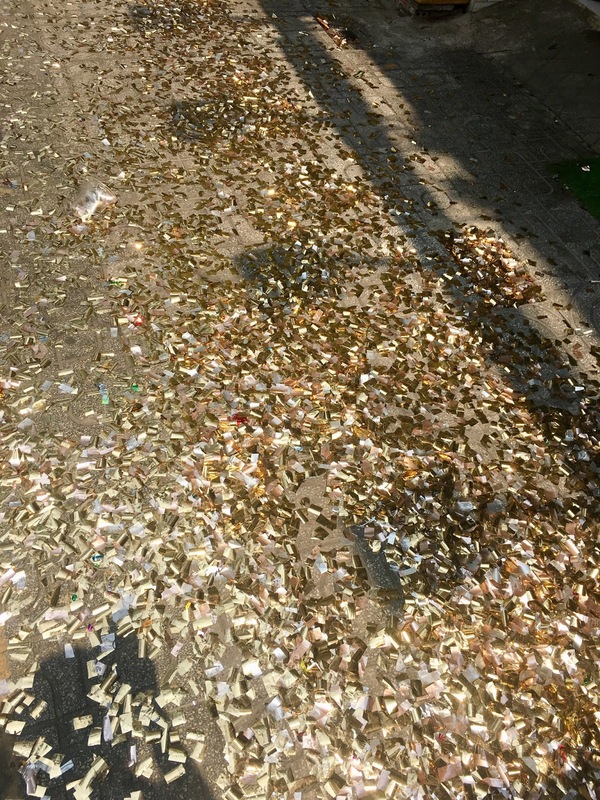 You may find free stuff like confetti canons and fireworks, if you're lucky enough to be here during Tet! In this section, we are talking about the ease of arrival. How long are the visas? The costs? Ease of arrival from airport? That sort of thing. 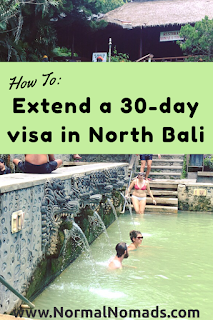 The visa is going to require a little bit of effort on your part. First, make sure you are applying for your visa with a reputable company, cause there are a lot of scammers out there. How do you know if the company you've found is reputable? Google "is (name of company/website) scam," and "(name of company/website) for real" and other such things until you establish a consensus. Don't believe the first person you find and their review, wait until you have a least ten or more to make a decision (some people don't seem to know what the word "scam" means). After you've applied, you are going to need to have a photo ready to go along with some money (check out Monica's list of visa requirements for Americans if you need some specifics!). We got our pictures taken in Ipoh, Malaysia for a few bucks but did notice there were people with cameras near the visa station in the airport willing to take a photo of you for twenty (20!) U.S. dollars (don't be those people). Also, if you don't take the wrong taxi to your place, getting into the city proper from the airport should be an easy and inexpensive trip. Get a Grab, an Uber, a reputable taxi, or a bus. Conclusion- Pretty easy, but not quite the "easiest." And here is where District 8 really shines as the best district to live in HCMC! We would probably give District 1 a four in this category, btw. 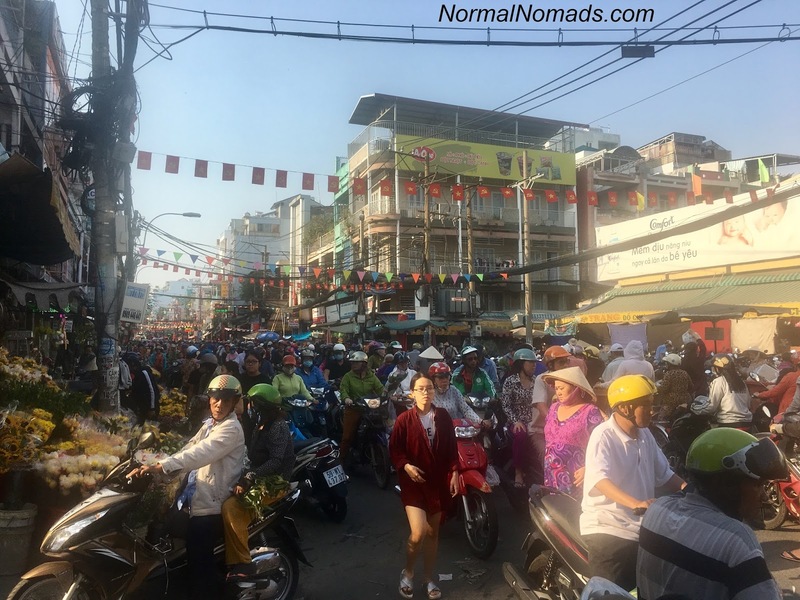 The people of Ho Chi Minh City (we don't want to say "the Vietnamese" because we honestly have no idea if it is a city trait or a cultural trait... maybe the residents of Saigon are the exact opposite of New Yorkers? Like, they are friendlier than the average person in their country?) are generally polite and easy to deal with, which makes living in any district a nice experience. Probably the only reason we'd deduct a point off District 1 is the preponderance of jerky westerners (dude, why can't westerners smile at each other? 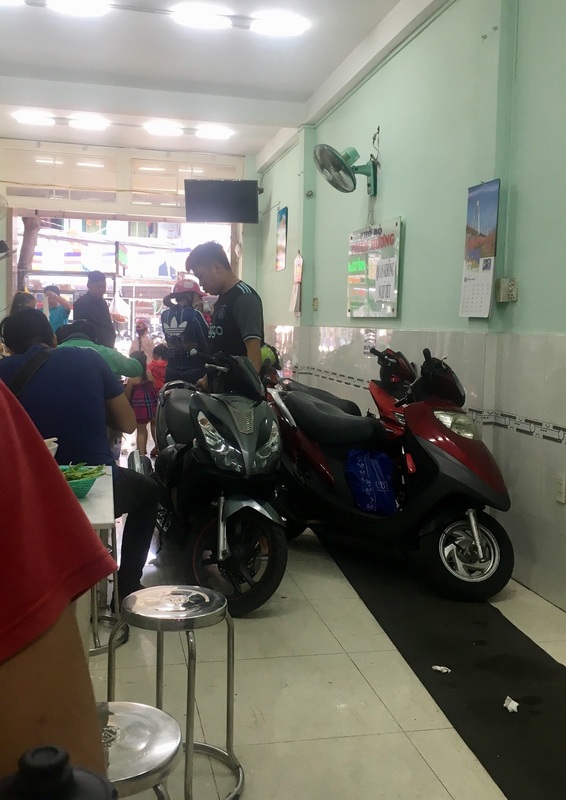 It is like this odd competition we all have where we have to pretend like we "belong" so much by seemingly not giving positive recognition to other westerners... meanwhile, the 80 year old Vietnamese dude behind you is smiling at everyone, regardless of origin, and having a great day! We don't get it). Yeah, if you are not Vietnamese, you are going to stand out in District 8. People who speak any English are probably going to ask you, "What's your name?" immediately followed with, "How old are you?" while not usually caring what you say in return, and people who don't speak English might smile or they might not (people are people). But every single time you sit in a restaurant you are going to be sat like everyone else, served like everyone else, and charged like everyone else. It's awesome! Food carts? Same-same. Convenience stores? Same-same. 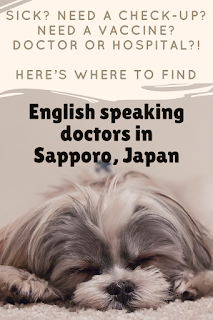 We aren't going to name any names, but we have both lived in cities in the U.S. where a Vietnamese person who did not speak much English would not have received nearly as good a treatment in a restaurant. Conclusion - Awesome. Freaking awesome. One time we were even invited to join in a special lunch. So good! So friendly! Yes, we like Ho Chi Minh City a lot. Like a lot a lot. But even we can't, in good conscience, finish this review without talking about one of the worst parts of the city. It's the reason why every person in the city on a scooter is wearing what appears to be a cute ninja mask. The smog. It's pretty bad. Bad enough we would recommend people who are especially sensitive to it may be better off sticking to the country side. Many times we joked how after about five in the afternoon you could, if you wanted to, stare directly at the sun without hurting your eyes because the crap in the air blocked enough of the light from getting to you. It turned into a big, red ball in the sky. 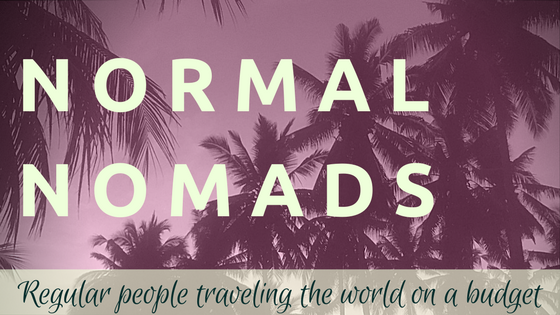 And that's not super normal... or really cool. Here, go read some of our other articles you might have missed if you want more! But for real this time, that's it.